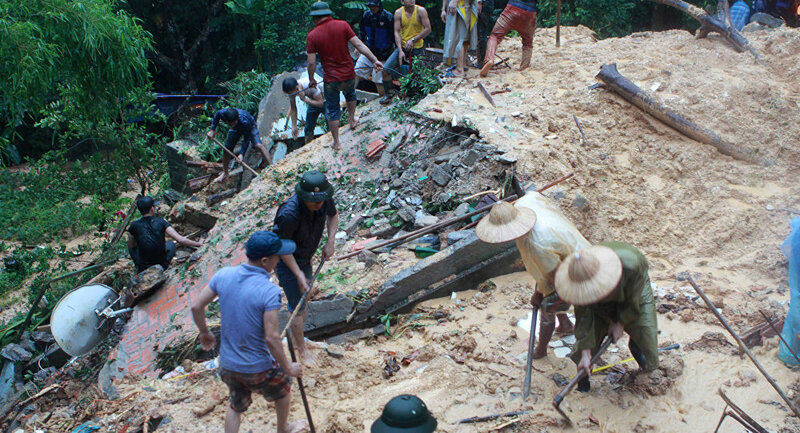 Two people, including a baby and a woman, were killed by a landslide in the Vietnamese province of Yen Bai. MOSCOW (Sputnik) — At least two people were killed and seven more were injured in a landslide that hit northern Vietnam, local media reported Monday. An 8-month old child and a woman were killed by the Sunday landslide in the Asian country's Yen Bai province, the VnExpress National news website said. The news outlet added that the country's authorities provided the families of the deceased victims with five million Vietnamese dongs ($220 at current exchange rates), while those injured received three million Vietnamese dongs. According to the website, in August Yen Bai was also hit by deadly natural disasters as rains and floods claimed lives of 14 residents of the province.